Aquaman and the Black Manta, in all their movie, statue-y glory. 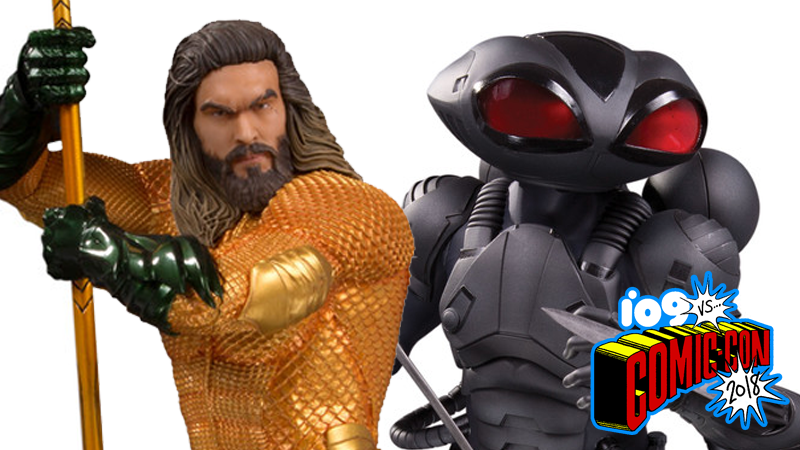 Announced as part of a whole host of new looks at upcoming statuettes and action figures from the company’s collectibles branch, three Aquaman movie statues will launch this November, featuring Aquaman in his complete costume, Mera, and the villainous Black Manta. Each statue clocks in at around 12 inches tall, and in Aquaman and Manta’s case, gives us our first real good looks at their main costumes for the movie, which are heavily inspired by their comic book appearances. Look at all that bright color on Aquaman!